Whether heading to work for an early meeting or running across town to meet a friend for lunch, your beverage of choice should always be just the temperature you like. 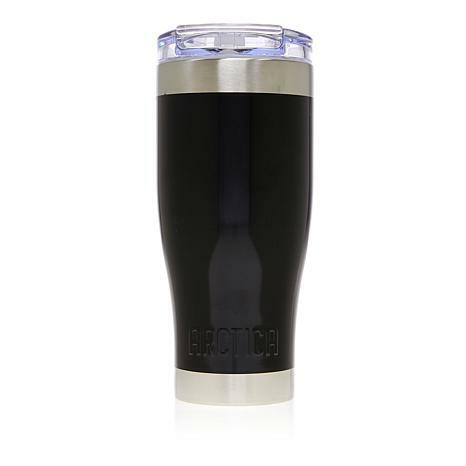 This vacuum-insulated tumblers is perfect for coffee and iced drinks alike, they'll keep your beverages hot or cold for longer. 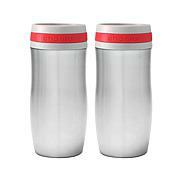 Plus, you can take these tumblers anywhere; they're tough enough for any adventure. Flip top must be open when putting on or removing the lid. If closed the pressure can build up and make it more difficult to put the lid on, close or seal it. Do not use cleaners with bleach or chlorine. Do not clean with abrasive pads. Volume Capacity: 30 fl. oz. Really does keep hot or cold for hours. A great size and a tight lid. This cup is awesome. Nice and big. 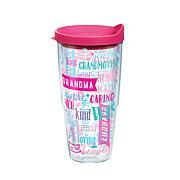 And keep my drink cold or hot. 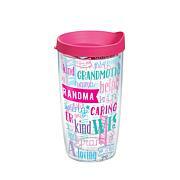 This tumbler is unbelievable. It keeps my tea piping hot. Absolutely love these tumblers. The liquid stays cold. The ice lasts all day even after refills. Please bring more colors - I really like the red. 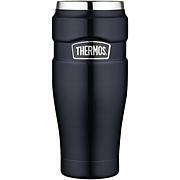 Great for keeping my water cold throughout the day. If I fill it with ice in the morning it lasts all day. That even includes sitting in the car for hours.